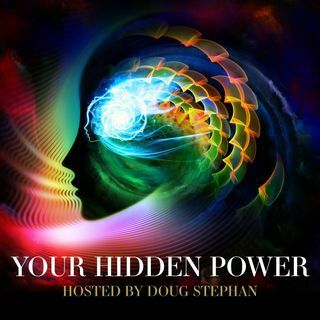 03/11/19 - Your Hidden Power #89 - Do You Know The Relationship Between The Planets and Astrological Signs? Host Doug Stephan welcomes Dr. Richard Bandler, Co-Creator of NLP, also known as Neuro-Linguistic Programming. www.richardbandler.com Dr. Bandler is a mathematician, philosopher, modeler, teacher, artist and composer. He has hundreds of thousands of students and hundreds of licensed institutes all over the world. In his latest book "Thinking on Purpose," he offers a step-by-step 15-day guide to anyone who wants to make changes in their life. Most people don’t really ‘think’. They ... See More ‘remember’. That’s why they are often destined to repeat the same negative patterns over and over again. Next, Mystifier Uri Geller www.urigeller.com reveals that he is Marvel Comics Super Hero. Then, a visit with Psychic Scout Mary O'Maley www.psychicscout.com, and finally Astrologer Maria Francesca Triliegi www.mariafrancescatriliegi.com explains the relationship between The Planets and The Astrological Signs.